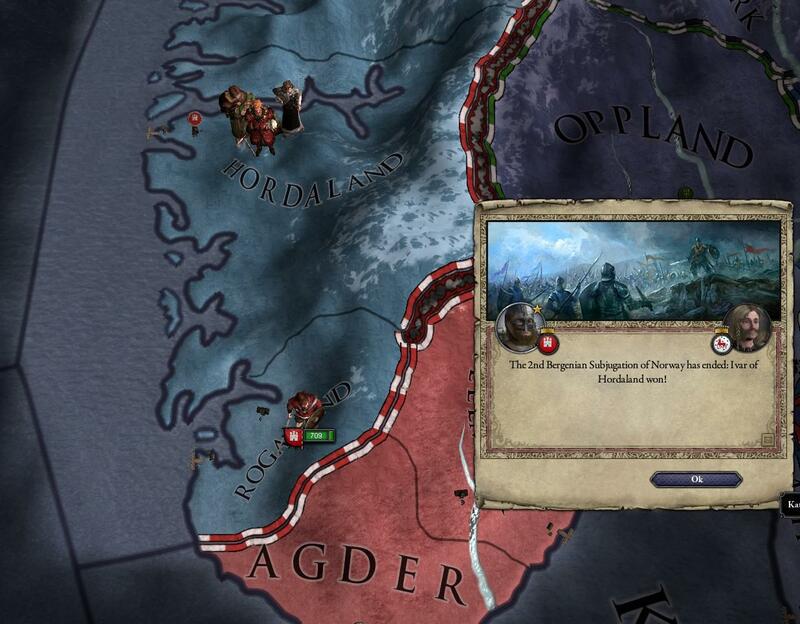 The unfinished tale of the Kings of the North. Chronicle of Kings. Part 1: Ivar the Bold and foreword. 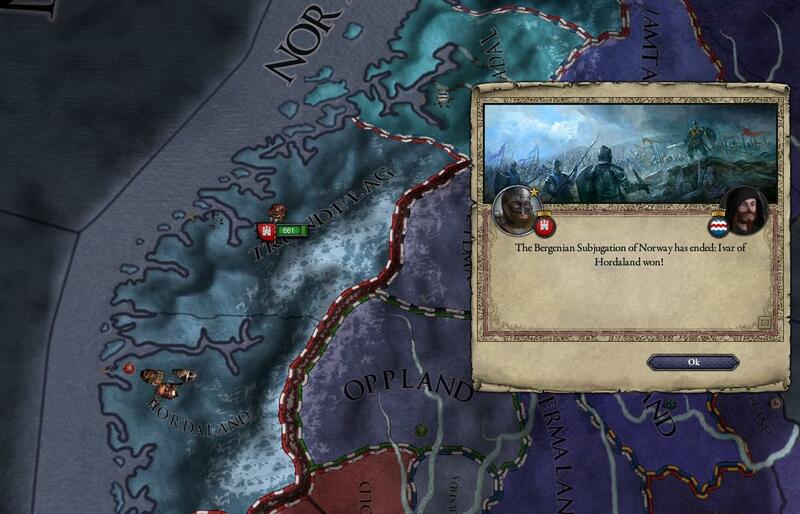 I, Ask Kykrhar Kastafell, have taken upon myself to write about the many Kings and Jarls that have Governed the Northern lands and beyond, from the ages of old, to Anno Domini 1444. My work, although not limited to a chronological heirloom or familiy decendant, is instead focused on the well known Gullfreki Family, who ruled, and still rule, many Kingdoms to this day. I have spoken to many wise old men, whom for i can vouch their intellect and memory of such things related to this undertaking. Troubadours and Æthlingtales have been extensively used where no living sources have been available. Allthough i cannot vouch for theese sources, i have however taken it upon my good intellect to separate fact from fiction. 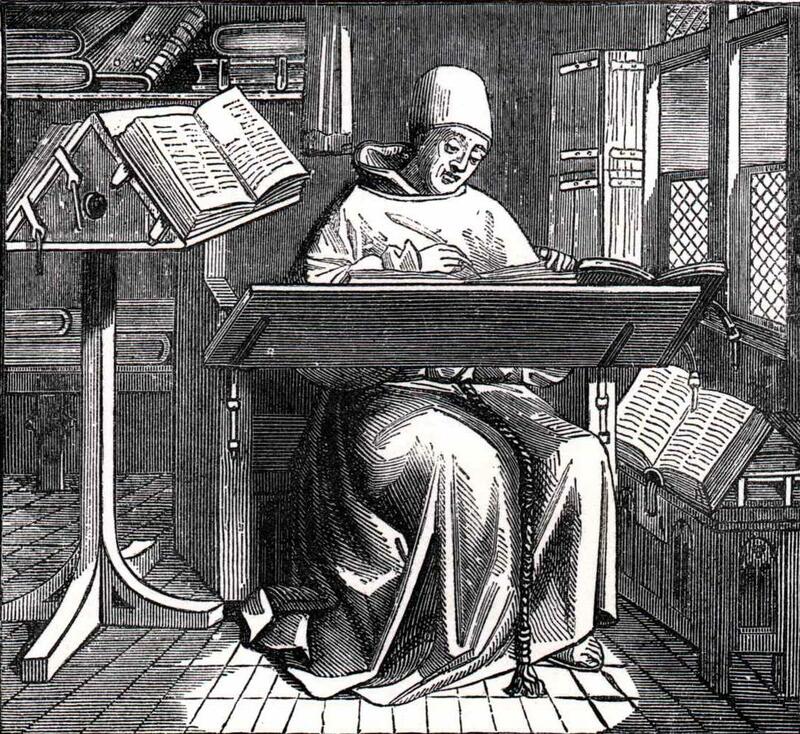 I am, to my knowlegde, the first to write about the Kings of old In this fashion, and i intend it to be a book many a scholar may enjoy and learn from in the future. Such a topic is not to be taken lightly, as such important persons and events deserve the thruth, and the thruth only. We Begin in the Ages that barely anyone remember, subject to little more than sagas and myths. Little knowlegde has been verbally passed on from this age, but we do know this: It all started with Ivar Gullfreki. A man of stout nature, with stern eyes and a crocked nose. skilled in both the sword and arts, he was renowned as a wise man, indeed wiser than most. He was also known as at times cruel and merciless, and deadly with both spear and axe. One winter day, while hunting in the coasts of Hordaland, he fell of his horse when it got frightned by a snake, and hit his head. While unconscious, he had a dream about a golden wolf, that devoured the land, and grew big and strong. The wolf multiplied and spread with the winds, to lands far away. When he woke up, there was no doubt in his heart; It was a sign of good fortune. He was to be king one day, and his sons would rule the world. 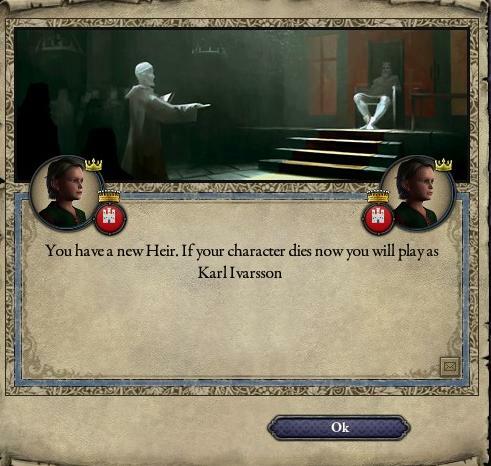 Ivar was unmarried, and without sons, and needed a heir. 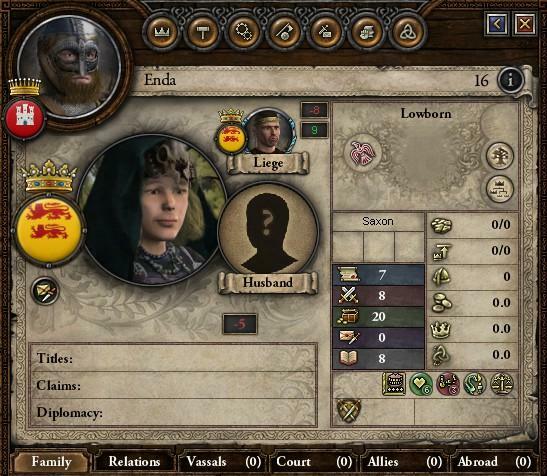 A lowborn named Enda was chosen as a suitable bride. As the year passed, Enda delivered a son to Ivar. 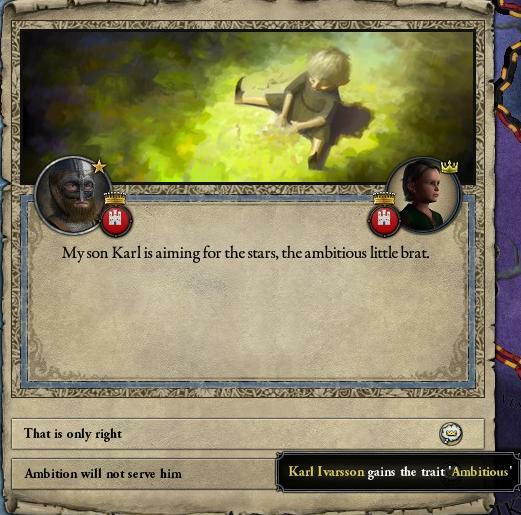 Karl was to be his name, a strong name, destined to greatness by the visions of his forefathers. Ivar, boldened by his visions, no longer felt fear in the presence of danger. He knew great powers protected him, and would lead him to victory. 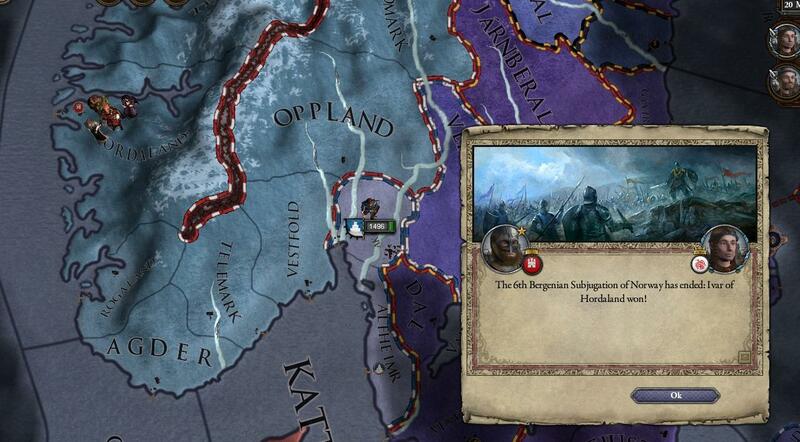 after assembling a great army, he marched it towards Trøndelag, with the intent to conquer the jarldom for himself. A firece battle left Ivar the victor, driving the defenders to the mountain, and the Jarldom in his hands. 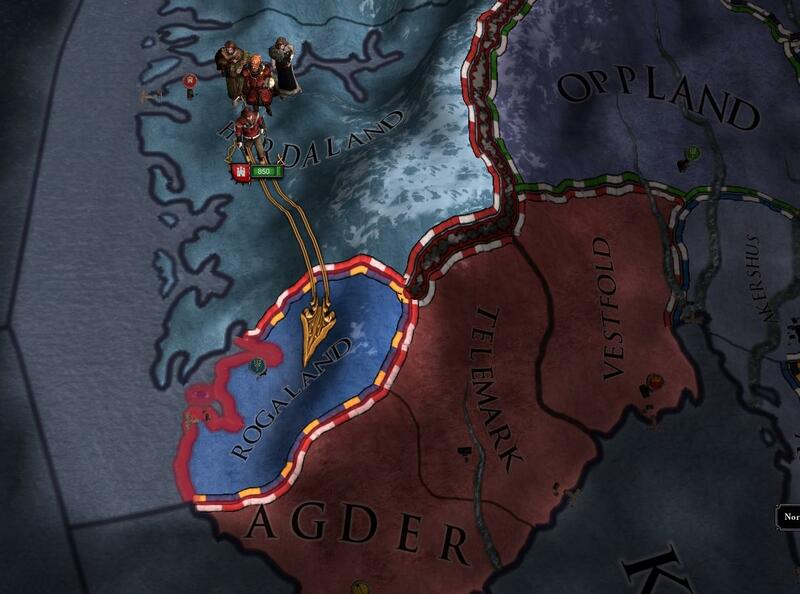 Next was the Jarldom of Rogaland, with the intend to secure the rich waters and coasts belonging to their Jarl. 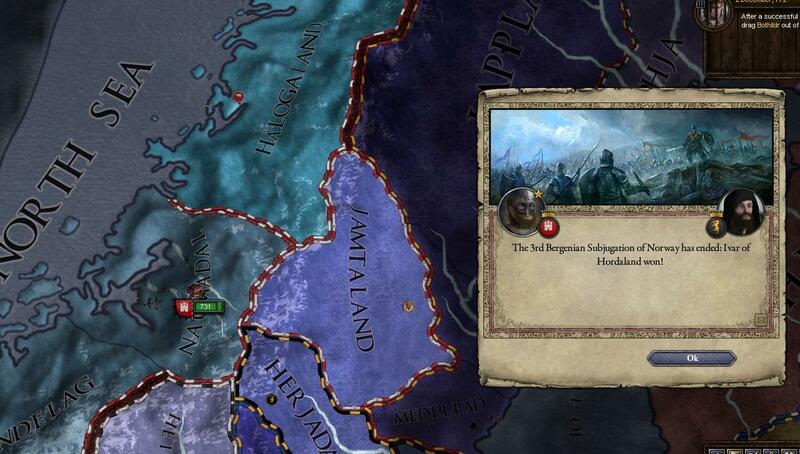 While leading the mangard towards victory, he inquired a nearby housecarl; "You! why do thou rest thy axe, when the enemy is upon thee?" " Mine lord, i rest when i say so, and i swing when i say so. Nay man shall betoken me otherwise!" 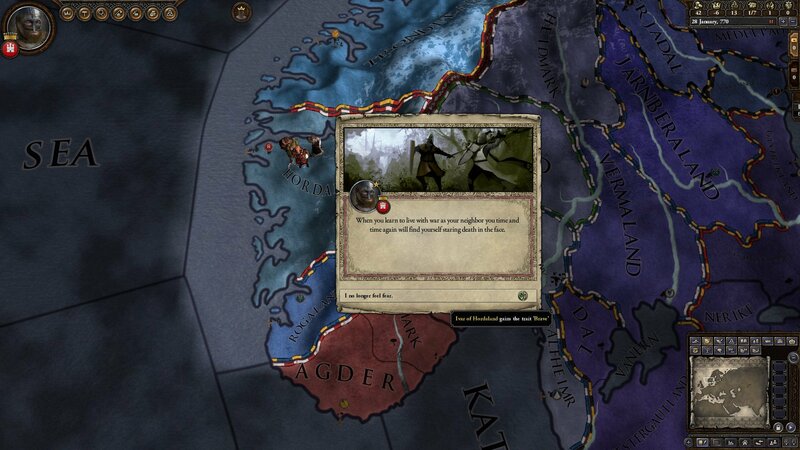 Insulted, Ivar swong his axe and splitted the housecarl from shoulder to hip. Ivar was from that day known to be easy to anger. 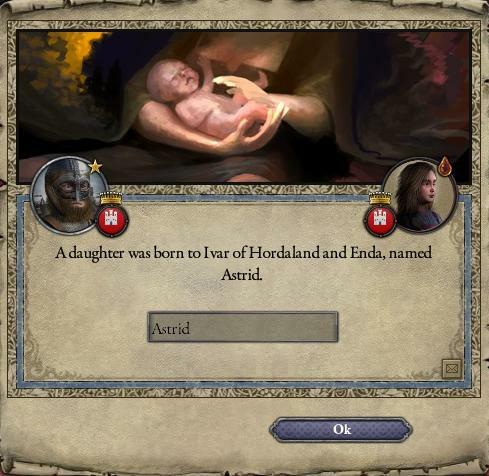 While leading troops, Astrid, a fair child, had been born to Ivar. The family grew ever stronger. 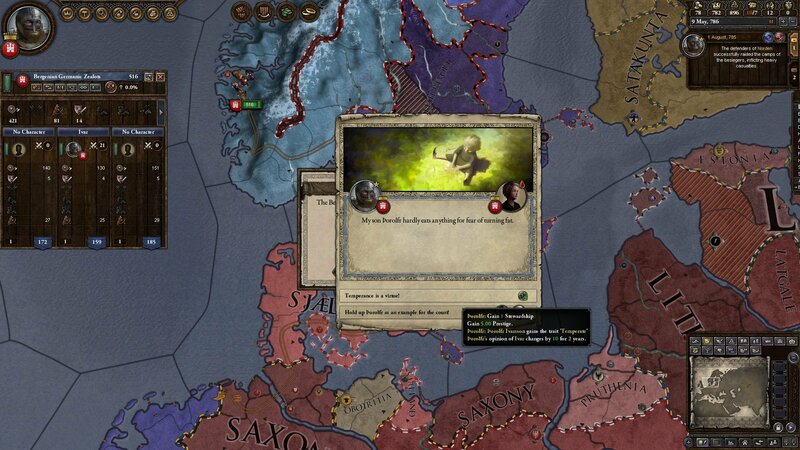 Victory came soon, when Ivar split the former Jarl in half in front of his own Ting. 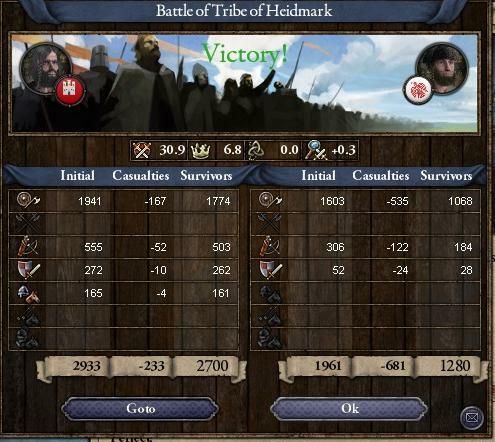 Peace settled, and the local population swore to serve Ivar. 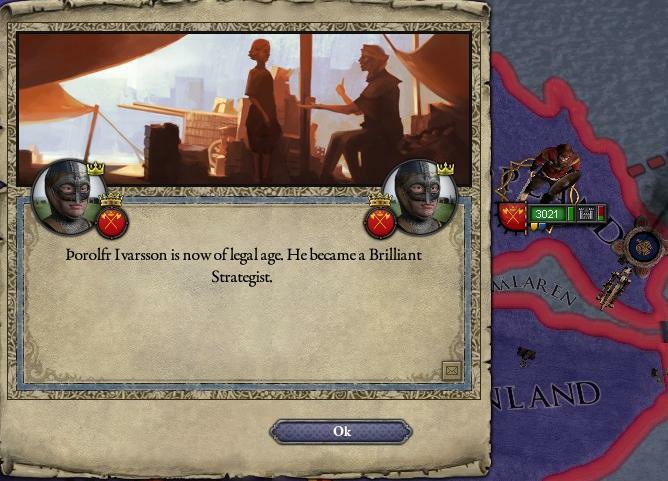 Leadership felt natural to Ivar, and through relentless study and learning, he finally mastered the art of war. War makes though men thougher. With his newfound skills and knowlegde, he swiftly conquered Naumandal, and routed the former Jarl. 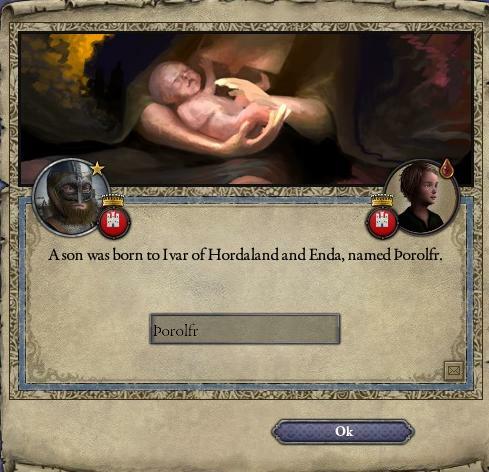 A second son, Thorolfr, is born in the summer of 773. Ivar, although glad, decides to focus on the eldest son, who according to his dream is destined to be the greatest of the two. 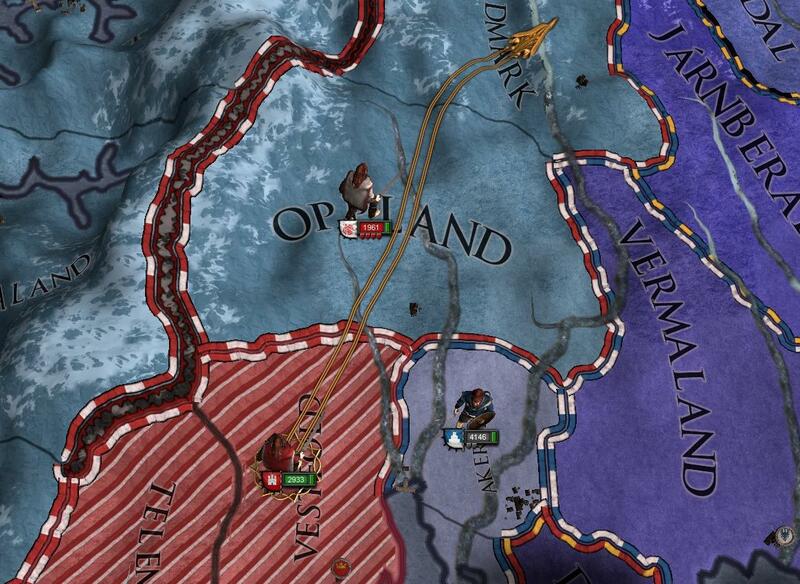 by then end of 774, the provinces of Heidmark and Oppland is added to the Jarldom of Ivar, and grew to be the largest Kingdom in the Northland in spoken memory. 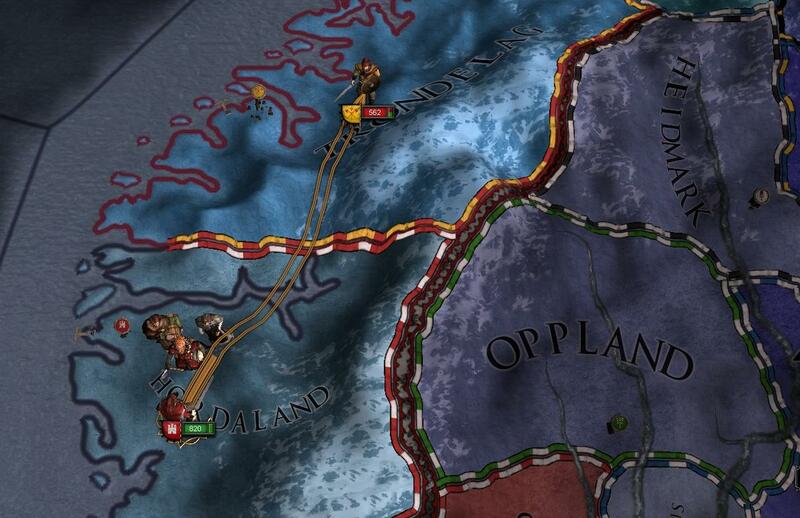 Ivar, boldened by his victorious ways, deicde it is time to remove the biggest threat to his Northlandian dominion: the Shjællandians. 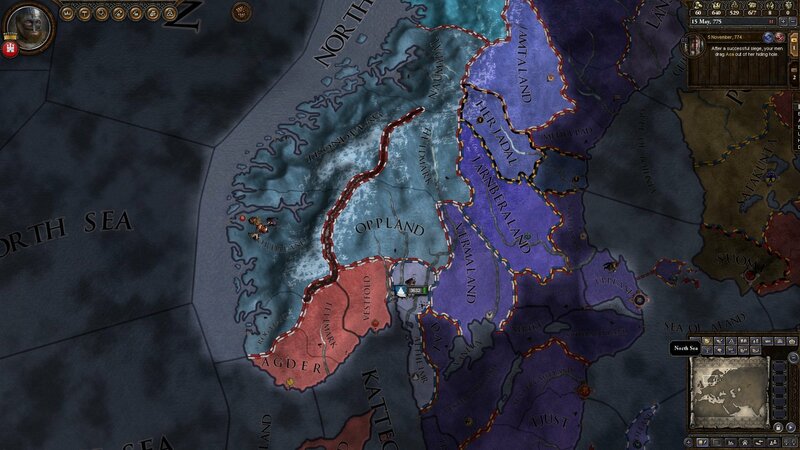 Controlling the Jarls of the South, and the entire Daneland, it was known as one of the most powerfull forces in the North. Ivar would see them on the battlefield none the less. 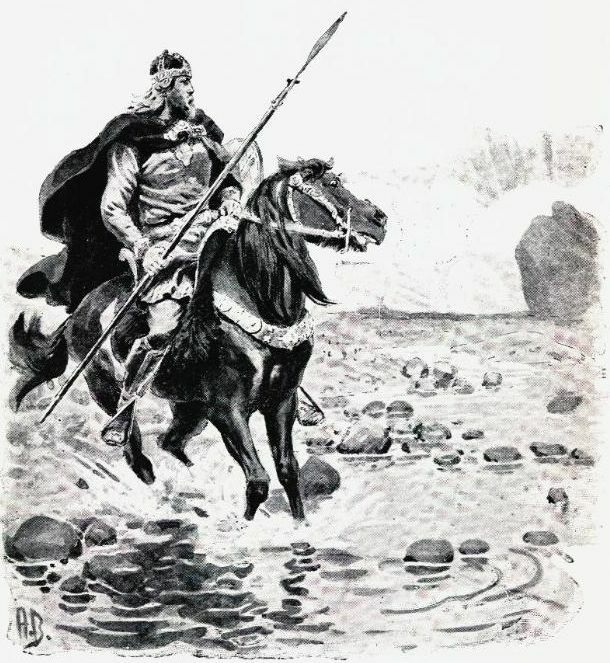 With the help of a large group of adventurers emboldened by Ivars tales of glory and promise of gold, he went on and conquered the lands of Telemark, Agder and Vestfold. Ivar brought with him his eldest son Karl, to show him the ways of war and governing. He loved his sons like no other, and felt he was the only one who could teach them the right way. 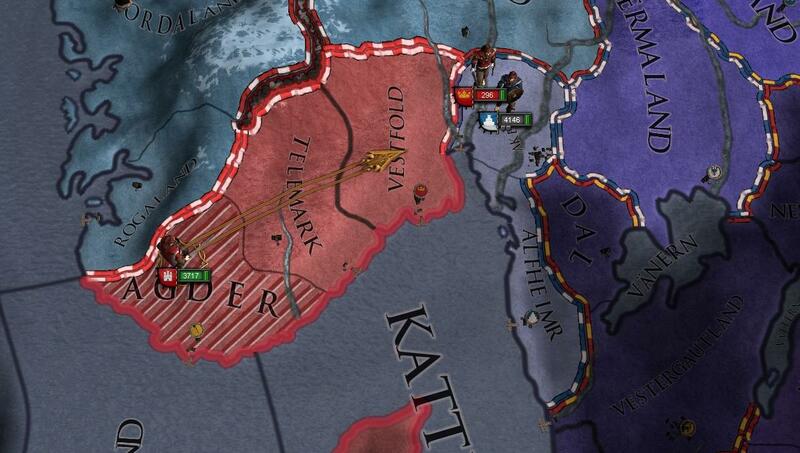 Soon a warband from Sjælland arrived, although weakened by the recent harsh winter. Ivar was a expert in mountain brawls, and went head on against the invaders. They where crushed utterly, against the shield of his loyal bannermen. A quick march towards the Danekings holdings, frightened him enough to promise release his Northern jarldoms, and never to return. Now all the Lands belonging to the Northern Jarldoms where under the direct controll of Ivar. Such a vast proved to be hard to controll, and many years where to be spent resolving the issues of ruling. Ivars son, having grown up under the firm guidance of his father, shaped up to be a great man. 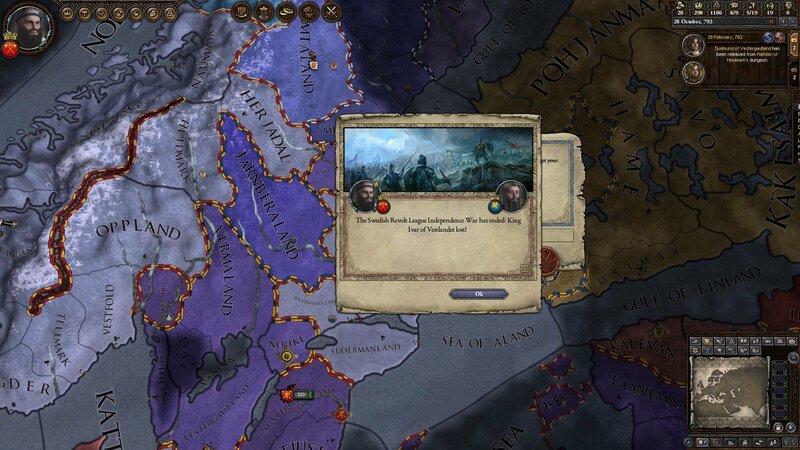 "father, is it right that our ancestors hast fortold mine greatness, and mine right to rule the world?" he asked one day. " nay mine son, not the gods. 'tis mine dream, and mine alone, that hast foretold the greatness within thou. nay i say, blame nay god for thy power and glory, for 'tis yours to make." 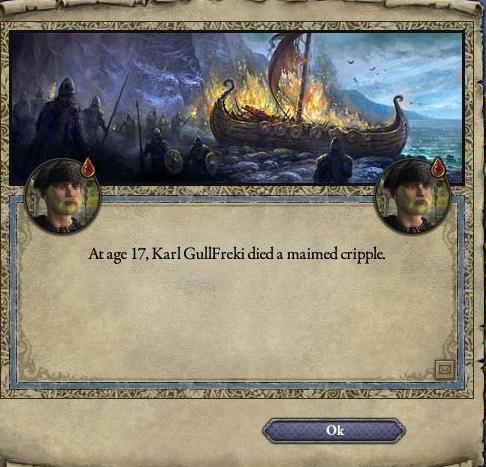 From that day, it was like a spark had ignited within Karl. The world was for him to take, surely. 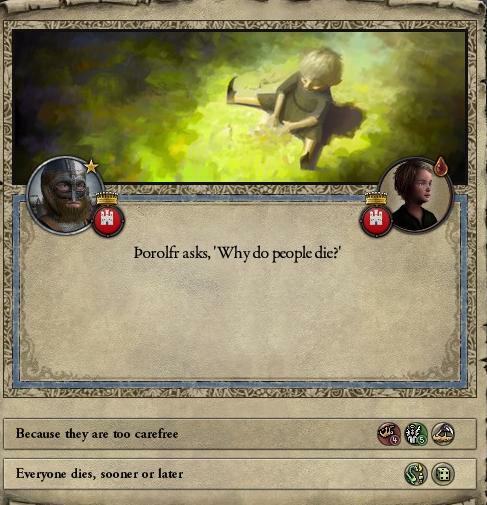 Thorolfr, suffering from the curse of being the second son, felt the spell of his fathers destiny. No love came from his father, but he still found wisdom in his unloving words. 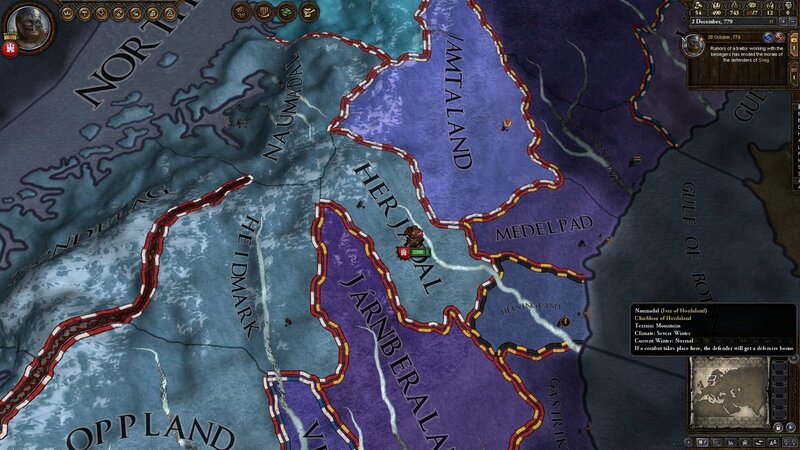 Ivar, although burdened by his enormous jarldom, elected to continues his conquest of Noregr, and invaded the Jarldoms of Jemtland. With his newest conquest, he finally realised he needed to settle down, if he was to effectively rule his holdings. Hunting became a new passion for Ivar, and he hunted Boars and bears from dusk 'til dawn. 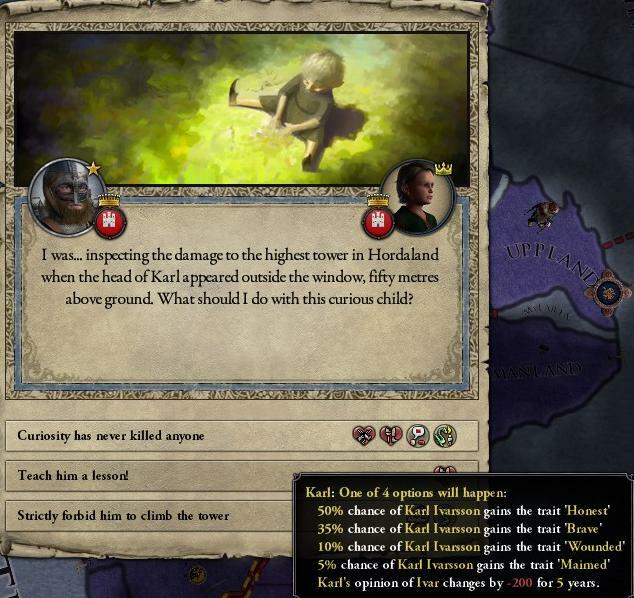 One day, While Ivar sat pondering in his holding, he saw his belowed Karl climbing the walls of the castle. Keeping in mind his prophecy, he let him climb, sure it would strengthen his character. But, as Karl climbed, his foot slipped and he fell to the ground, breaking his back and legs. Healers and shamans did their best to mend the boy, but it was clear he was maimed for life. Ivars legacy, and favorite son, was shattered. 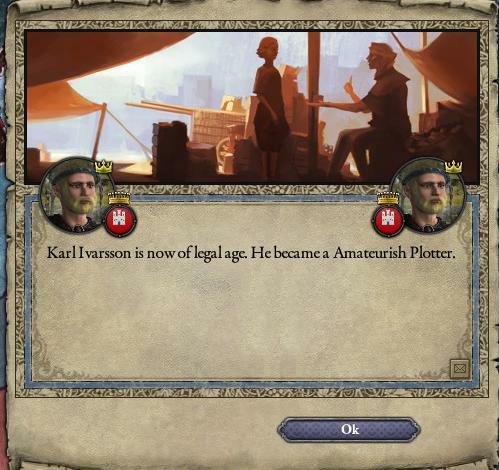 He grew up to be a failed plottmaster, no longer having the strenght to become the King he was born to be. It was in this darkest momemt, his Son Thorolfr, comforted him in his time of need. Ibar, realising he had abandoned his second son, finaly embraced him in a fatherly manner, and started his training in becoming a true jarl. 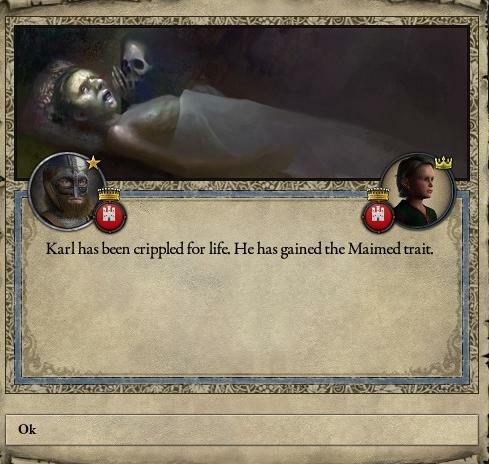 Karl died soon, a broken man with a shattered vision, and a great despise for his father. Fueled by fatherly rage,and with nothing to lose, he deemed the time right to strike his strongest neighbour at hand. 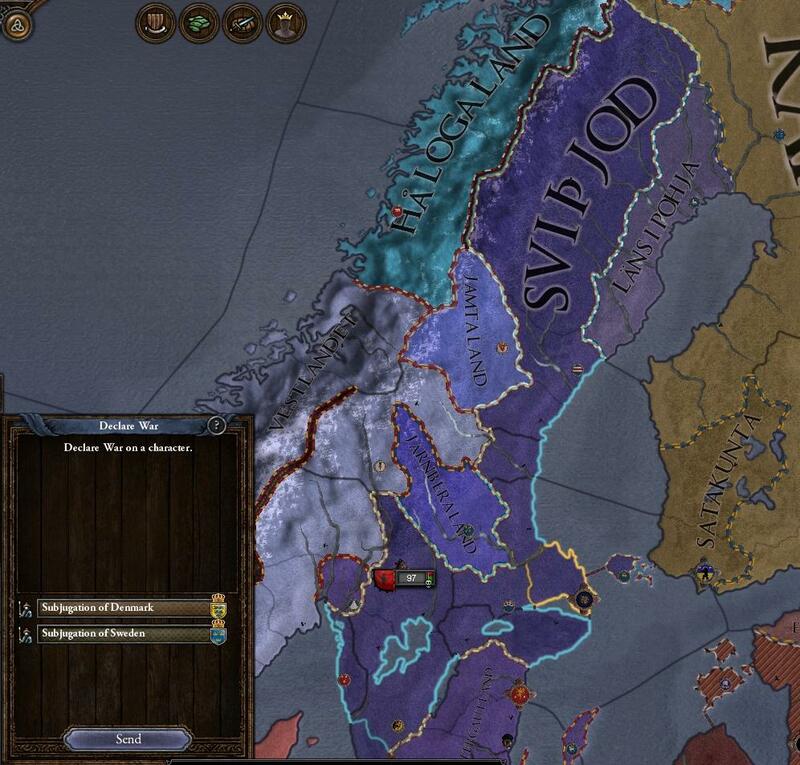 the kongdom of Svithjod was to fall under the rule of Ivar. Ivar had little coin in his coffers, and needed to act quickly. A crushing victory early was preferable, so he met his enemy head on. Not much is known about the battle, but the sagas tell us that Ivar slayed King Sigurdr himself in single combat, and several bodyguards. Lack of funds, and poor morale and guidance resulted in a loss however. 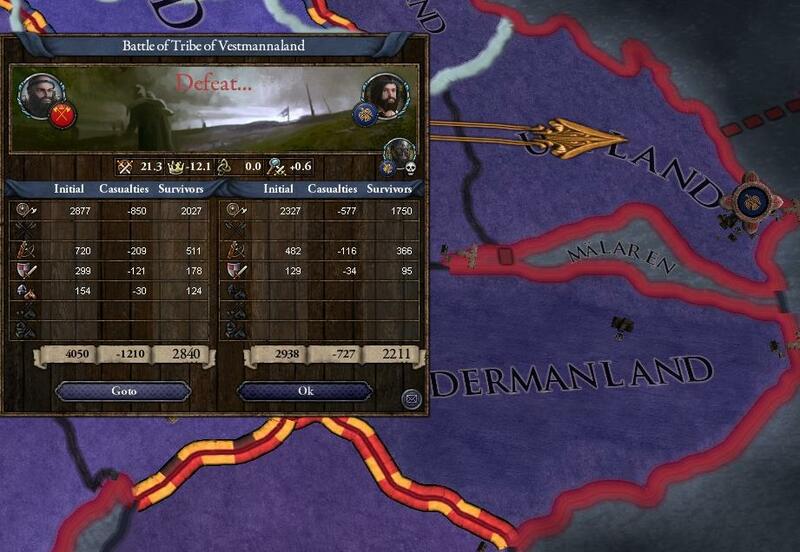 The army was in a bad state. But in the hour of need, the promised son emerged. Thorolfr had grown up to be a leader with no equal. Ivar saw his forgotten flower blossom before him, in a cascade of glory and youthfull eagerness. His son would lead him to battle, and they would fight, side to side. With his son by his side, all resistance was crushed. Ivar looked upon his son that day. Was it him i dreamed about, i wonder? 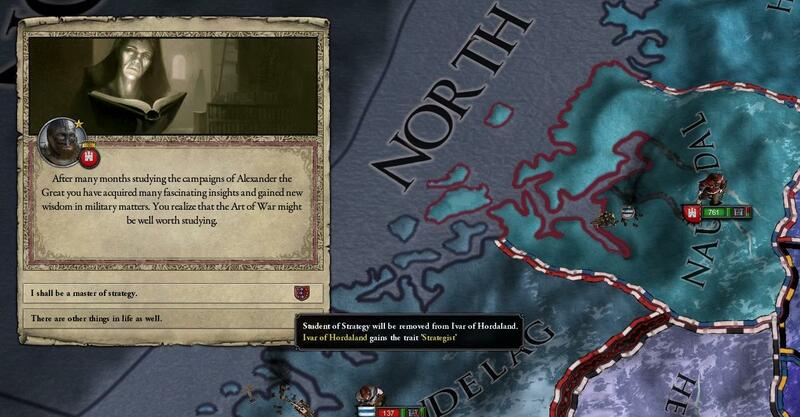 The Kingdom of Svithjod was crushed, but revolt and strife had broken the kongdom from within. Much was lost to Ivar, who inherited a bitter civil war. 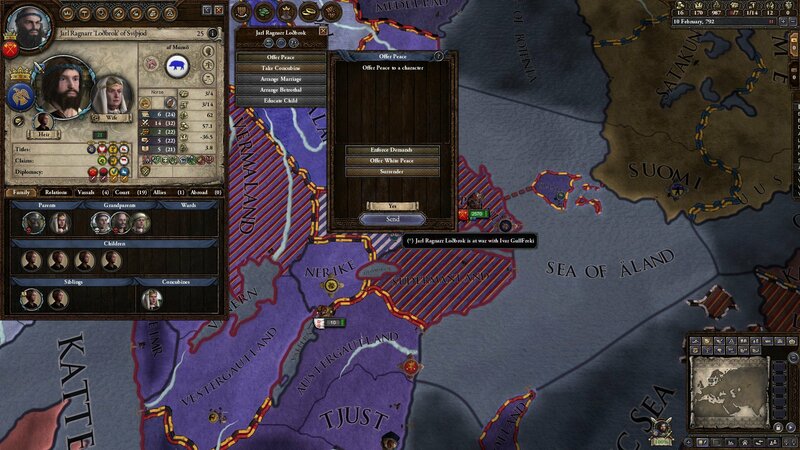 A new age dawned in the year 793, when Lindisfarne was raided by Norse "vikings", as they fashioned themselves. 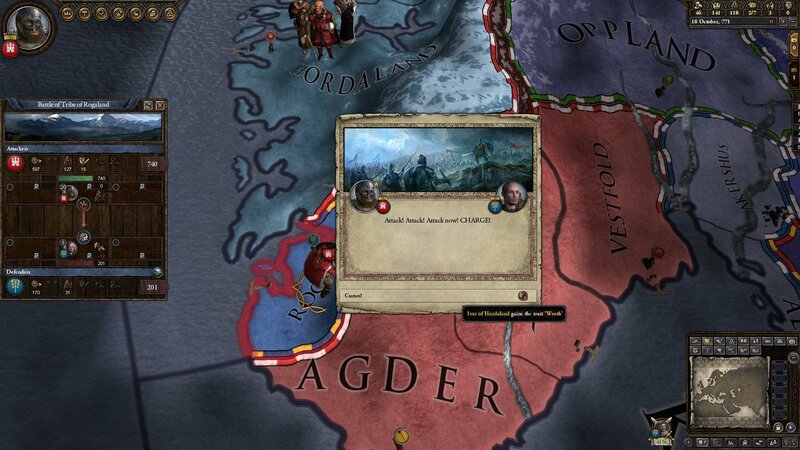 Raids and voiages to afar was not new to Ivar or his kin, but with the reasurance that none would stand against them in their search for riches, a shift of power seemed likely. Ivar, Chief of Trøndelag, Vestlandet and Svithjod, swore to sail west and find riches in his time. 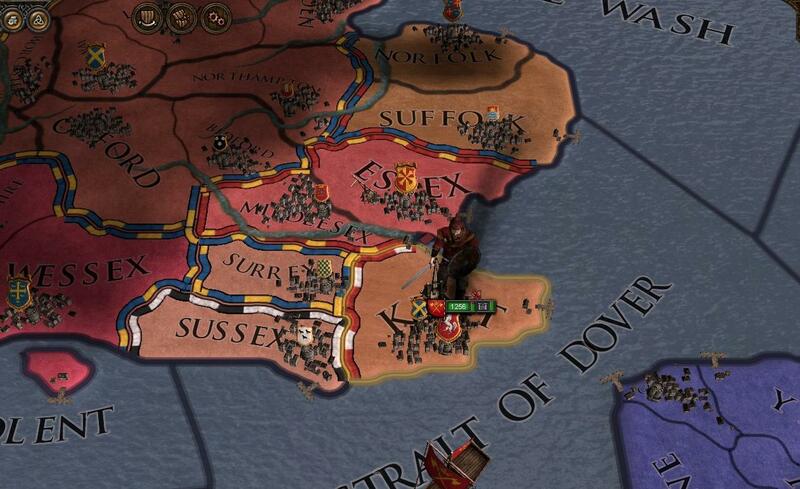 He gathered his men and set sail for the coast of Kent, where he raided the surrounding curches and towns. He amassed a fine pile of gold and silver, before he set sail back home. Ivar had prooved himself a fine Viking, and also made his precense known to the Anglo-saxons. 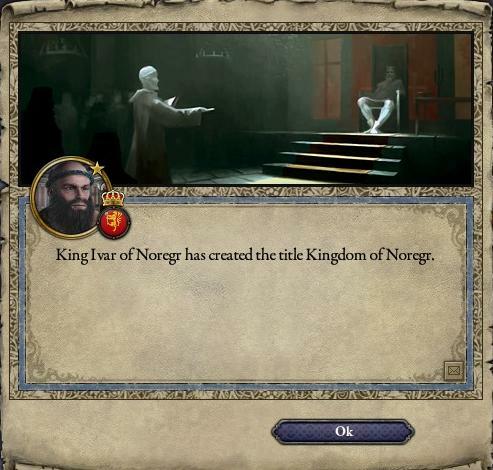 With his newfound wealth and power, and having recently concuered NordNoregr, he finally could fashion himself the king of "the way North", Noregr. 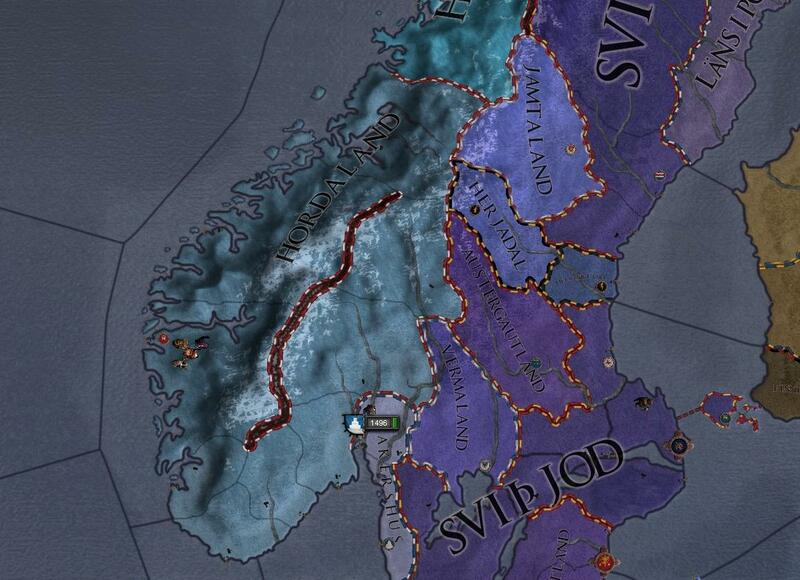 Many Jarls swore allegiance imediately, among them the Jarls of Iceland, Jemtland, and some swedish jarls. 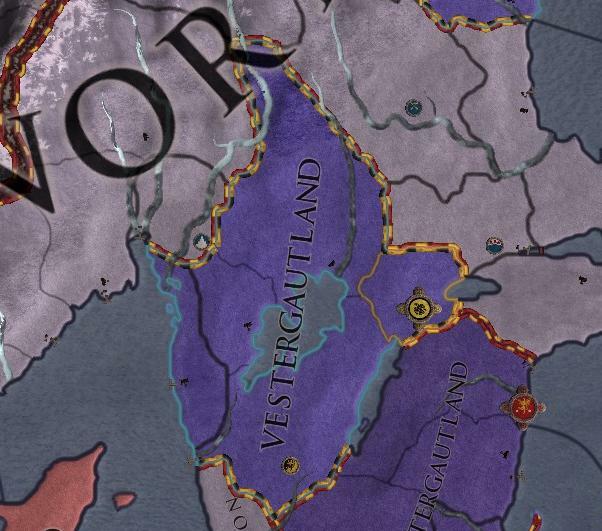 Vestergautland was also laid under the sword, as a friend and companion of Ivar had laid claim to it. 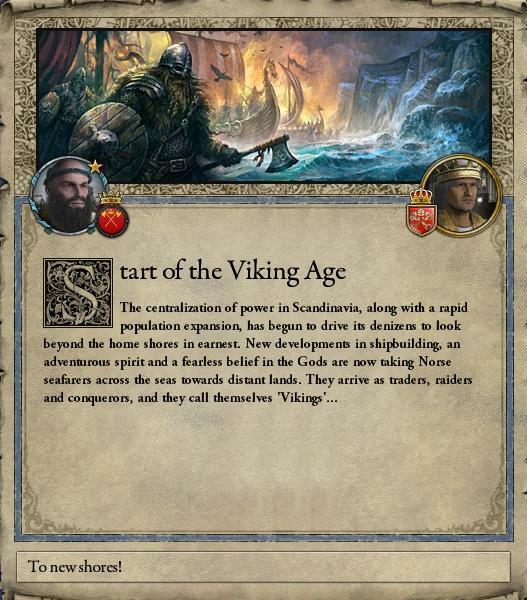 Ivar had a second son born to him, and Thorolfr left for Miklagård, to join the Varangian guard. Great pride filled Ivars heart by the thought of his son, figthing in his father memory so far away. 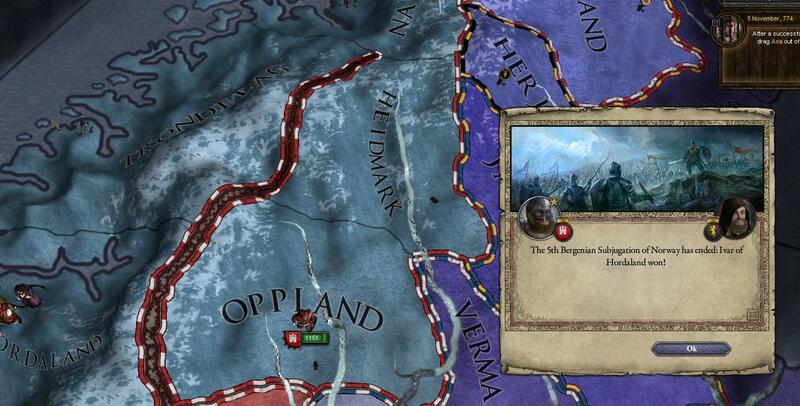 But while fighting his enemy for the right to rule Vestergaustland, his old age caught up with him. 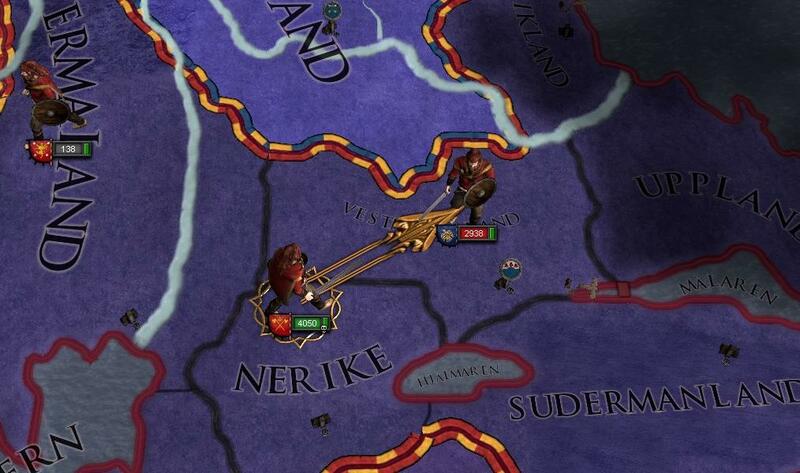 Too slow to deflect a sword from a Swedish huskarl, he lost his left arm, and had to be carried away from the battle. Pain and grief fell upon him, as he felt his last moments on this earth. for although he had united Noregr under one banner, he had no done justice to his famlily, and his propechy. A dream not fulfilled gnawed at his inners, as did his wound. But the worst pain of all was his failure as a father, for he had doomed his eldest, forgot his second, and never even spoken to his third. The wolves who where to follow him where not by his making. The propecy was for others to fulfill now. 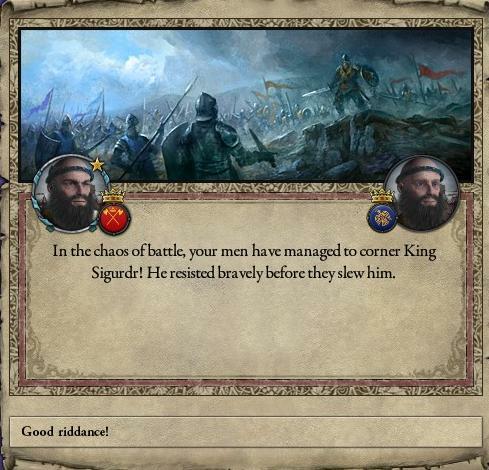 Ivar died in 801, weakened by his grizzly wounds. 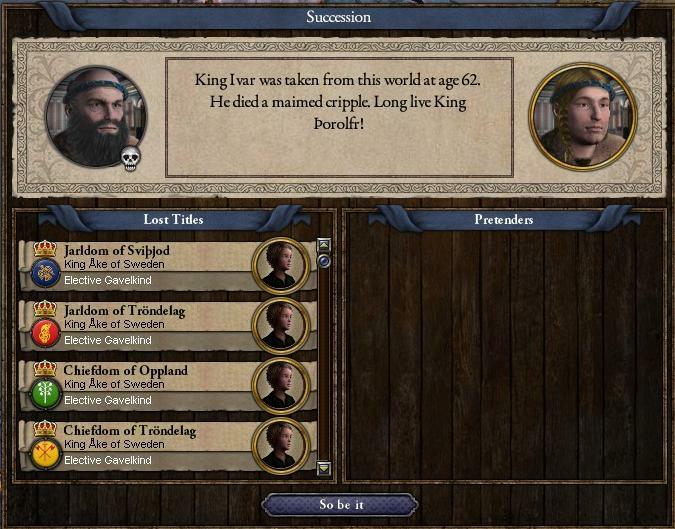 His Kingdom was split in half. 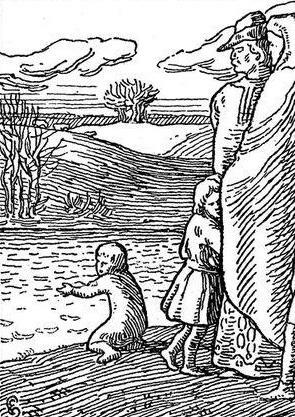 In Svithjod, his youngest son where set to rule, guided by unfamiliar noblemen, thinking only about the gain for themselves. But from the South, a lost son returned, fairhaired and strong. Thorolfr, the Forgotten, had returned. 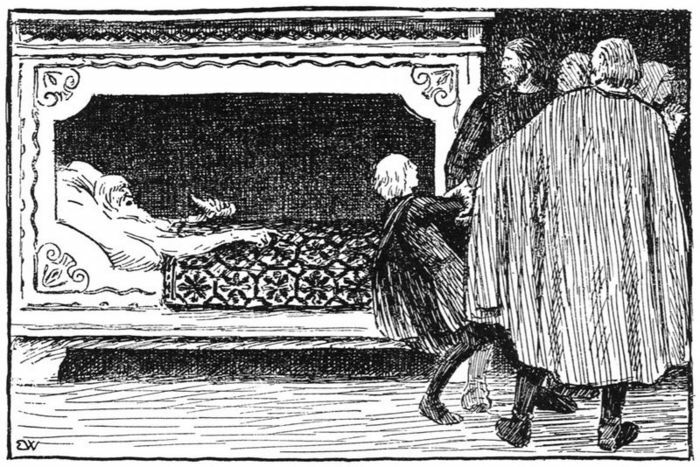 Such ends the tale of Ivar the Bold. Such begins the tale of Thorolf the Forgotten. 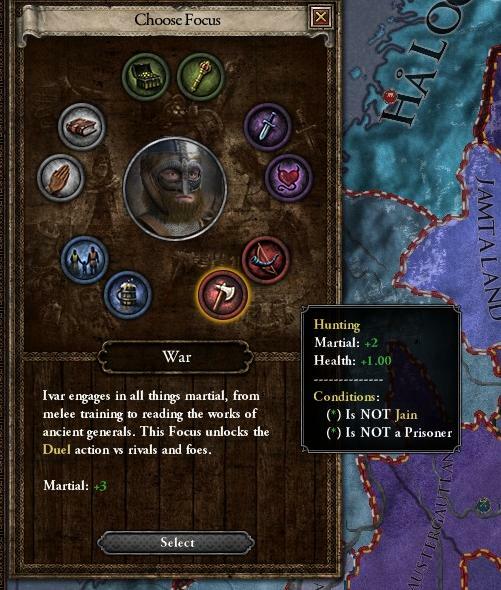 Chronicle of Kings, part 2: Thorolfr the Forgotten.